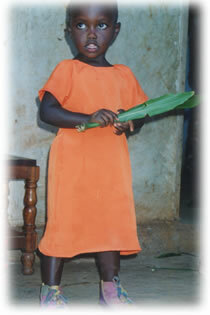 providing moral support in the international arena for the movement to abolish FGM in Africa. Although FGM is not practiced in Japan, we see FGM as a harmful practice that poses a serious risk to the sexual and reproductive health of women and as a violation of the bodily integrity and human rights of women. In Japan and every other country in the world, women are subjected to various forms of violence and discrimination. The struggle against violence and discrimination against women has no national nor geographical boundaries. WAAF supports the campaigns against FGM, and we are in spirit with the women and men who are fighting to eliminate this harmful traditional practice. fund-raising for the WAAF Fund. We have held three international symposia in Tokyo to which we invited activists from Ethiopia, Sudan, Nigeria, Tanzania, and Kenya to speak to the Japanese public about their struggle both locally and nationally in their fight against FGM. Raised from donations from our members and the general public, WAAF Fund is an annual grant, ranging from $500 to $3,000, awarded to projects devoted to the eradication of FGM in Africa. WAAF accepts applications directly from interested NGOs working in Africa, and each year one or two projects are selected after a careful screening process. 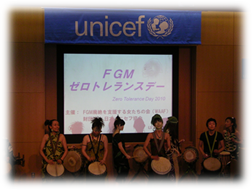 © FGM廃絶を支援する女たちの会　Women's Action Against FGM, Japan. All rights reserved.